May, 2014—Book #3 in the Deluca Family Series! Five Star Reviews for TRUE blue! …The author brought to life realistic characters and relationships while building a case that will leave you wondering who the murderer is until the very end. Her description of the world in which the investigation takes place is incredibly realistic. The story was highly interesting and continued to move forward at the perfect pace…. The plot threads in this story are excellent – just enough to keep the reader wondering what the connections are and still full of surprises at every turn, all the way till the end. Though this is a third in the series, Ms. Rae does a masterful job linking it to ICE blue via characters Angela DeLuca and Troy Deavers, who only play minor roles in this novel, which can stand on its own. If you haven’t already, you’ll want to read the other two books in the series. 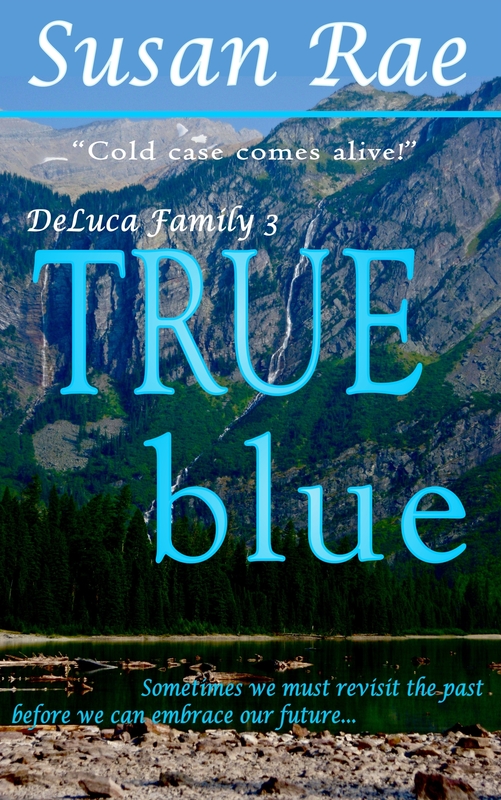 The third book in the DeLuca Family Series, TRUE blue can also be enjoyed as a stand-alone novel. 5 Star Reviews for Book 2 in the DeLuca Family Series! The weather outside may be frightful, but the heat is rising between Chicago Fire Paramedic Angela DeLuca and ICE Special Agent Troy Deavers. Born into a Chicago cop family, while her brothers get their rush from catching bad guys, Angela gets hers from saving lives. A tough beauty with a heart perhaps too big, she champions the underdog because, as the youngest of six siblings, she often felt like one. Troy became a cop to prove he wasn’t like his father—a southern politician who brought his family down with greed and corruption. He doesn’t suffer victims well. At first intrigued by Angela’s passion, Troy soon fears that the fire in Angela’s heart will be her undoing. What happens when Troy falls in love with the lovely but infuriating Angela who insists on protecting a young witness and her unborn baby—a witness who could break his case wide open? 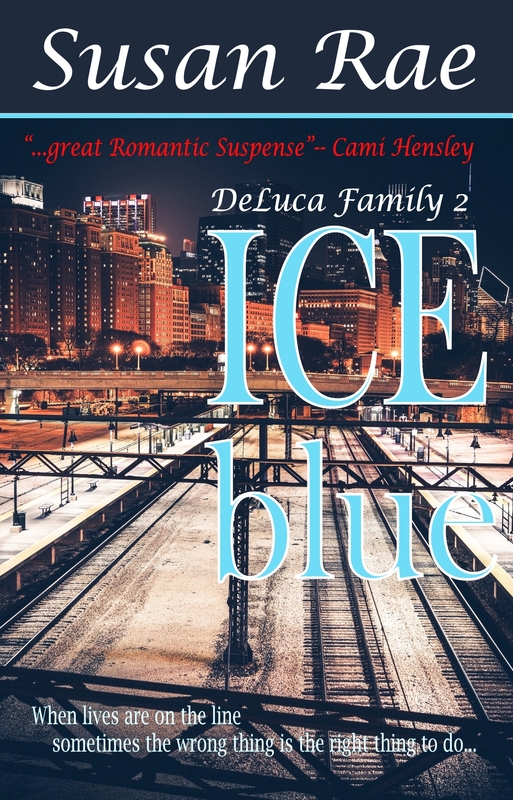 If you haven’t met the DeLuca’s yet from heartbeats, get to know them in ICE blue. Dr. Elizabeth Iverson’s career is on track–she’s just landed a prestigious position as a cardiologist at a renowned cardiac care center in Chicago. Meeting her former lover, Drake McGuire at an alumni banquet where she is the keynote speaker is decidedly disconcerting, but she vows to put him out of her mind–she can’t, won’t let him stir up her life now! Her plans for a quiet, controlled life are shattered, though, when she discovers her one-time college roommate stabbed to death in her apartment. When Drake shows up on her doorstep with the cops, he sparks a storm in her heart that further threatens to destroy the life she’s managed to create for herself and her daughter, Allison. Although known for getting his man, dark, explosive Drake McGuire’s maverick ways have earned him a forced vacation from his FBI post. Returning to Chicago, he is amused to find “love ’em and leave ’em” Elizabeth’s life plan on track. But her seemingly innocent amber eyes and quiet smile twist at his heart, fueling a desire to make those amber eyes smolder, those heart-shaped lips once more cry out his name in passion–even as his instinct for self-preservation screams at him to run the other way. When it seems Elizabeth might have been the intended target for murder, he can’t help himself as he is compelled to protect both her and her precocious daughter. 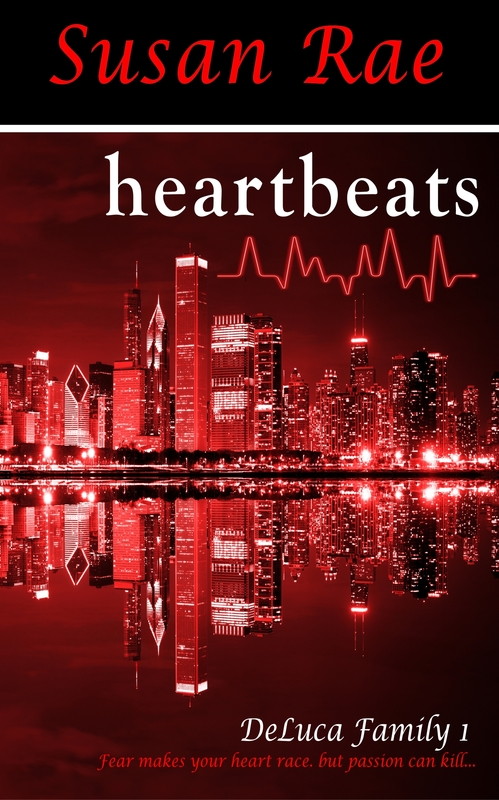 heartbeats—An RWA Golden Heart Finalist for Best Romantic Suspense! Best First Book–First Coast Romance Writers! Freak accident or attempted murder? 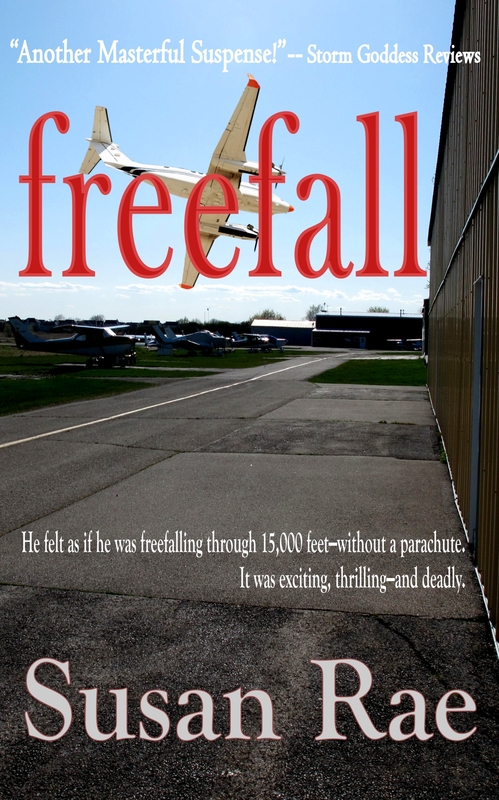 Kate Reynolds’s quest to unravel the mystery of her brother’s plane crash throws her into the turbulent wake of suave pilot/mechanic Everett Larsen. His penetrating gray gaze ignites in her a passion as powerful as a jet stream, but it also sparks a memory—one she can’t quite reel in. A bitter divorce has taught her to trust no man, so how can she trust Larsen? Drawn by a cryptic message Keith left on his answering machine the day before his crash, Everett “Spike” Larsen flies to Milwaukee for answers, but he is unprepared for the assault of emotion he feels when he comes face to face with Kate. After the death of his wife, he thought himself no longer capable of such emotion. He is afraid to give into his feelings for Kate—afraid to love again. But when Kate insists on helping out at her brother’s aircraft repair shop and gets too close to the truth, he is even more afraid to lose her.